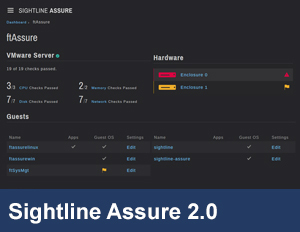 Sightline Assure is a simple, yet powerful IT performance monitoring solution purpose-built to continuously maintain the health and availability of mission-critical servers, software applications, access control servers, storage devices, network devices and peripherals, such as cameras, door locks and more, all in real-time from one comprehensive dashboard. Developed to ensure always-on availability across industries, Assure is available as an annual software subscription. 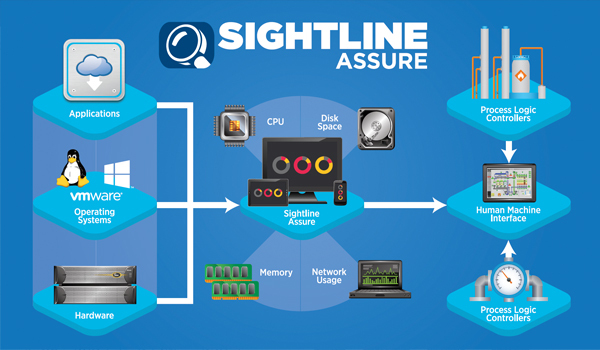 Sightline Assure is built to anticipate performance issues and prevent downtime and data loss before it occurs. 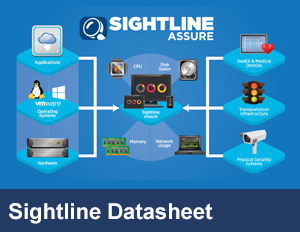 Sightline Assure provides a single, unified view of IT hardware, operating systems and software applications. Assure is a lightweight, easy-to-use web application based on 12 years of IT monitoring expertise and industry best practices without the complexity of traditional IT-industry software. 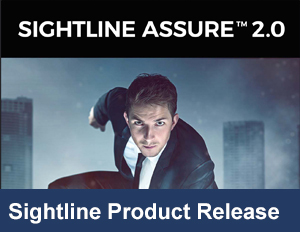 Designed to be simple on the surface, Assure is built upon Sightline’s powerful Enterprise Data Manager (EDM™) analytics engine, which collects and analyzes hundreds of real-time system metrics to optimize the performance of Fortune 500 IT environments. Unlike network resources managed remotely by corporate IT departments, operations engineers are responsible for managing the HMI software applications that automate the plant IT environment. Assure is designed to provide plant managers and production line operators with a single, unified view of the status of the hardware, operating systems and software applications needed to keep the plant IT environment running at all times. The Sightline Assure dashboard allows manufacturing line managers or controls integrators to identify system performance issues ahead of time and take immediate action to prevent potential downtime. 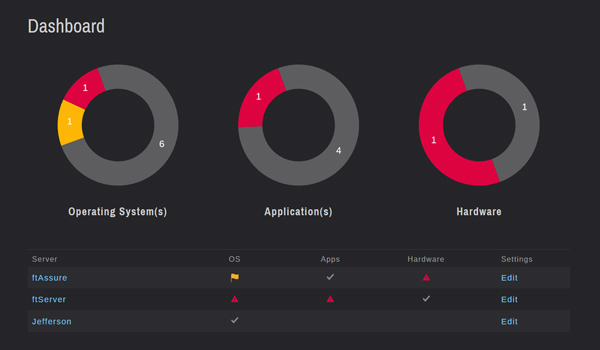 All active operating system, application and hardware alerts are aggregated from one or more servers, displayed on the dashboard in real time and color-coded accordingly: grey (good), yellow (warning) or red (critical). Assure continuously monitors physical and virtual system resources and performs hundreds of ongoing CPU, disk space, memory and network usage checks. Users receive early warning reports of capacity issues, degraded application performance and critical system errors. They can also visualize, drill-down and correlate data across multiple servers, with support for Windows and Linux operating systems, VMware servers and guests. The system highlights active alerts and provides a comprehensive alert history for all mission-critical servers, operating systems and monitored applications, detailing the duration of a problem, when it was detected and how long before it was resolved. Assure also allows users to customize individual alert thresholds when resources reach a maximum or minimum level, and configure email notifications when performance issues require immediate attention.